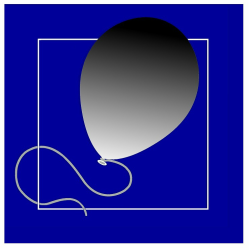 Flash Ballooning is a small and intimate balloon company from the Eindhoven region, we operate from Noord-Brabant. Mostly places like: Eindhoven, Tilburg, Breda, Den Bosch and Helmond. We prefer to fly with 2 to maximum 5 passengers, that way we can give everyone the attention that they deserve during this stunning experience. When you book a complete basket we will decide the take-off location together with you. This way we give you the possibilty to see as much of the scenery firmiliar to you. But wherever we go, i twill be amazing! When you book a flight as a single passenger, we will try to grant you your wishes as much as possible. This way we don’t do mass tourisme, but give you a VIP treatment. A Balloon flight is an excellent gift for a birthday, reunion, marriage (proposal) or just to treat yourself. After the balloon flight we accommodate a glass of champagne and a participation certificate. Of course we give you a ride back ! 0031-40-2525661 or send us a mail ! ​Your Pilot is Coen van den Heuvel, Balloon flying is like a hobby for him in which he likes to share his passion to others. Coen has over 650 flight hours as a balloon pilot. He is also the owner of the Flash Luchtvaart Winkel in Eindhoven. ​For the assitance in setting up the balloon en chasing the balloon after take off, we have an enthusiastic group of people which help us. If you are interested to help and especially people with a driver’s license for a trailer don’t hesitate to call, we are always interested in extra help. ​April 2016 we picked up our new balloon at the cameron factory in Bristol England. After completion of all the paperwork we made the maiden flight on the 17th of may 2016. With this balloon you can still count on the fact of flights with a maximum of 5 passengers. ​On the 17th of august 2016 we picked op our blue balloon in Denmark, this balloon will be used for VIP Flights with a maximum of 2 passengers and educational flights. The danish registration has been changed for the dutch PH-ABC callsign. We also participated with this balloon in the Leon Balloonfiesta in Mexico. ​The ballon is back in the Netherlands now.